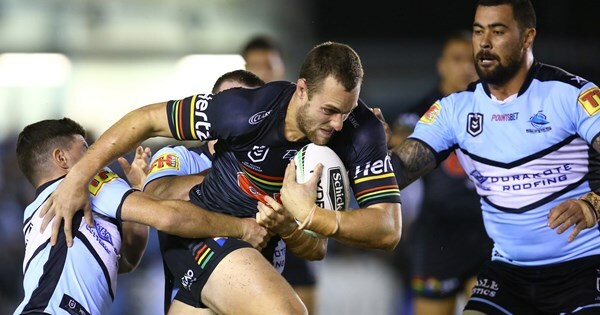 The Panthers suffered a heartbreaking 24-20 loss to Cronulla Sharks at PointsBet Stadium on Thursday. 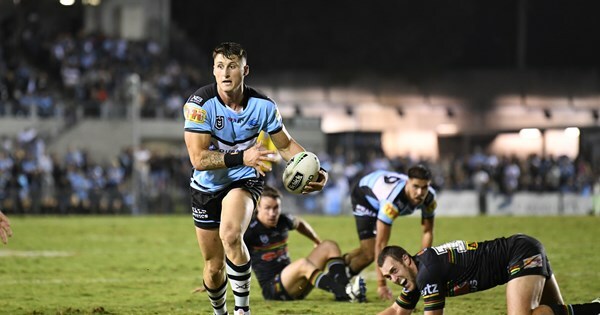 Budding Sharks stars Bronson Xerri and Briton Nikora have orchestrated a stunning Cronulla comeback at PointsBet Stadium, roaring back from 20-6 down to swamp Penrith 24-20. Yes agreed, went from not expected to be back until Rnd 17 to playing in Rnd 6 - great news. Pretty much as good a line-up as we can put out there, with little scope for changes if it goes south. Those pre-season hopes have taken an early battering, and things need to come good pretty quickly. It’s all up to the boys now. They had Cleary on the news last night and Yeo in the background, looks as fit as a fiddle and was full of energy. I wish Ivan would make a statement, let’s see how RCG handles a Reggie taking his starting spot, if this doesn’t bring out the best in him, he needs a reality check in Reggie’s. there is some more good news…Cleary (the coach) must be reading Pantherpride and announced his 6 captain idea wasn’t so good and announced Tamou as the ONLY captain. This tells me their is something amiss with Maloney, maybe already on the outer!!! He has been the spokesperson for the team all year so far, he is the leader on the field and Ivan gives the C to Tamou, he doesn’t even play the full 80…I don’t like it at all. This may highlight what is going wrong with us on the paddock, it will be interesting to see what energy we have against our bogey team. Possibly off topic but when did that ever stop anybody. Regarding the kick off time of 7:50 pm; I would struggle to stay awake in front of the TV at home for the duration of the game (assuming frustration has not already got the better of me). Now, I have not been to live sport for more years than I care to mention, nor have I any plans to do so in future but I ask this question. Does the kick off time preclude many supporters, particularly young kids, from attending these matches? That is not adding any factors like if it rains, traffic accidents etc. 100% the kick off time affects it. The only benefit of tonight’s time slot is tomorrow is a public holiday, if this was a standard weekend their would be 5000 people attend shark park and that would be maybe 100 panther supporters like Mutley who live there. It’s ridiculous for fans who like going to the game. who’d bother to make the effort, especially the way we’re playing. (Now 14) to Monday and Thursday night games (coz of school). Maloney looks to me as if he’s playing injured. He’s not long had ‘neck’ surgery. His time is ‘nigh’. Ken Irvine or Michael Cleary, world class sprinters . i don’t know what to say…just don’t know what to say. That HURT. That was worse than last week’s loss. We had them the whole game then got lazy and complacent and handed them the game with three tries in sixteen minutes. I am furious. Biggest positive to come from tonight - I thought Wayne Egan was excellent. A negative to go with it though - we were much worse when he came off and Katoa went on, and Ivan seems to be persisting with Katoa. We get overrun in the last 20 minutes. Despite playing our best 60 minutes. Dallin’s brain snap and Malakai’s penalty try were both hugely influential in that game. Dallin’s attitude has cost us more than once. Had to work, so I haven’t seen the game yet. Caught a few minutes on the radio & updates through the game. Only thing that struck me so far is that we seem to struggle to win from in front, and I’m not just talking about this year. Casting my mind back over the last few years, we always seemed to do better chasing than leading.